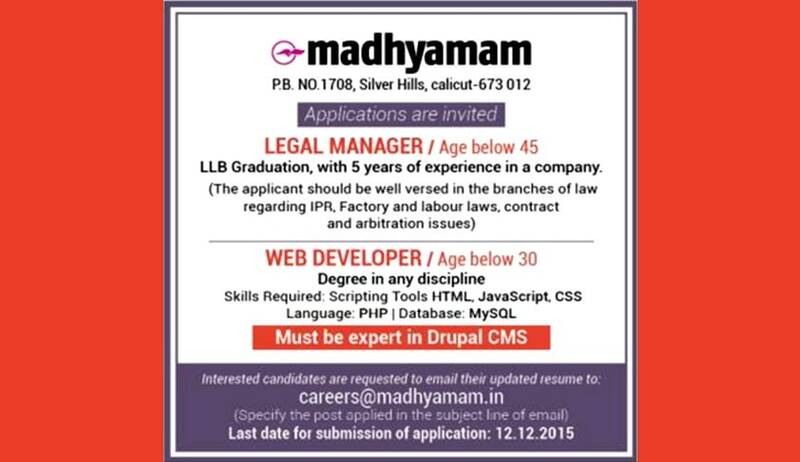 Madhyamam daily has invited applications from the eligible candidates for the post of Legal Manager. Essential Qualification: Law graduate with 5 years of experience in a company. Job Description: The applicant should be well versed in the branches of law regarding IPR, factory and labour laws, contract and arbitration issues.